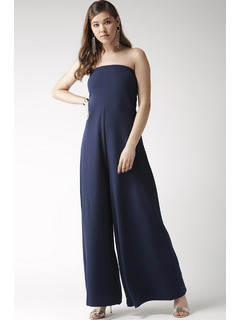 Jumpsuits are without a doubt a statement style. 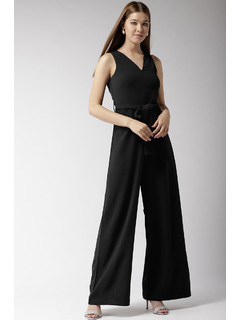 So, go ahead and choose this jumpsuit and add some serious style to your weekend wardrobe! Accessorize with: A pair of metallic heels, a box clutch are sure to spell magic! Cross Overlapping at the neckline with hook button at the back for fastening and ease. Flap Layer on top crossing over at the neckline.